If you ask a Christian about their prayer life, most will tell you that they feel guilty that they don’t pray as much as they should. We are busy with work, children, etc. Life seems like a never ending cycle of busyness. When we are free we want to relax. The only time we feel motivated to pray is when we are in trouble. So often our prayers are self centered and focused on needs. We want these prayers to make life easier. Sometime God does not answer out prayers and we feel cynical. This passage was written by Paul who was a tent maker and knew what is was like to be busy and under pressure- shipwrecked, beaten, falsely accused. He was writing this letter under house arrest. Yet according this letter he is always praying and his prayers don’t focus on his troubles but on spiritual growth and always praying for more. Paul got what we often fail to. Peace Joy does not come from all our prayers being answered but from a deeper understanding of his purposes and his glorious purposes for the world. Verse 16 Paul thanks God for the Ephesians church. He heard that their faith was growing – for everyone the Jews and the gentiles. Thanksgiving is a regular part of Paul’s life. He gives thanks for many things but more for spiritual life. Rom1:8, 1Cor1:4, 2thes1:3. 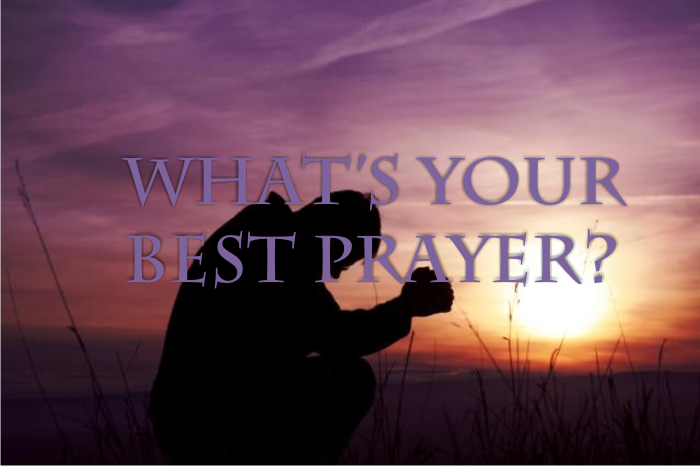 We find prayer life challenging and when we do pray, we tend to get straight to the point. We pray for physical well being, jobs, homes, families and happiness. It’s great to thank God for these things. We need to learn to give thanks for everything. Are we a : Glass half empty or glass half full person? W often find it easier to thank God for the physical things around us. Our greatest need is for revelation- to open our eyes to spiritual revelation. Revelation- uncovering, unveiling things that are normally hidden. He opens our spiritual eyes causing us to know spiritual realities. We can be completely oblivious to what is happening in the world and the universe. The Holy Spirit acts as a microscope revealing things to us we do not and are unable to see with our normal eyes. We need the spirit of God to reveal it to us. Reading the Bible is great but is not enough because head knowledge will not change our lives. We need the Holy Spirit to make it go from our heads to our hearts. Praying for spiritual revelation is the most important prayer we can pray for ourselves and others. Don’t just focus on physical things but when you see spiritual growth in your family and friends thank God for it and pray more. When we understand this we will understand physical things too. There are 3 things Paul tells us. V18 Paul prayed that they may know the hope (an expectation of a divinely provided future) to which we have been called. This is not “hope” as we use it today meaning wishful thinking. Paul talks of Hope as something God has already done. Once they had not hope but now they have access to all God’s blessings, they have forgiveness, acceptance, righteousness of Jesus given to us, resurrection as we are raised with Him, death is not the end. 2. V18 Glorious inheritance what we receive as a reward from God. i.e God’s glorious inheritance – not something we get but what God gets. The people of Israel are often called God’s inheritance “in the saints” i.e we are God’s reward!! We are glorious to God? How is this possible? Heb12 For the joy set before Him… that joy is us!! He values us highly and it’s through us that he wants to display his glory. Thai is the confidence he has in us find for us. We are his treasured possession. When you feel down remember this. 3. Immeasurable power is working with in. There is nothing else like it. Paul uses 4 different words for power it to the raising of Christ from the dead. Jesus is now enthroned (v21) far above every power and authority. The one who went to the cross for us, the one who laid down his life like a lamb led to the slaughter has the power over everything!! What difference does this make to our live? If we get hold of this truth it will change our lives We need revelation and this will happen through prayer. So we don’t just pray for temporary things but for spiritual things and for Holy Spirit revelation. This is the most important prayer you can make. We have begun a 24/7 prayer at Word of Grace. It’s heartening to know that people are praying for us 24 hours of the day! We see that we all have trouble. If you are living on earth you’re going to have trouble. John 15:16 Jesus says that in this world you will have trouble, but take heart, I have overcome the world. 2 Corinthians 4:15- Paul writes our light and momentary troubles are achieving for us an eternal glory that far outweighs them all. Paul was extremely persecuted but says that they are light and momentary. Peter says in 1Peter 1:6- in this you greatly rejoice, though you have had to suffer grief in all kinds of trials. You rejoice in the hope of Jesus. But for a little while, there is grief. Trials come in different shapes and sizes. Some sicknesses, finance, relationships, our own selves… there can be lot of things in our daily life. If you don’t have trouble, you are probably dead. But in Jesus there is victory. Not the victory that delivers us from bad circumstances, but will deliver us through bad circumstances. The Bible talks about three enemies we have as followers of Jesus face- the devil, the world system and the flesh. Jesus has overcome all three- the devil was defeated on the cross, the world is passing away and our sinful nature being destroyed, we can live by the Spirit and not by the sinfulness of the flesh. In Romans 8:28- And we know that in all things, God works everything out for the good of those who love him. Now why did he say all things? The good things are anyway good for us, but even the bad things are being worked out for our good. He is sovereign and everything happens according to His will. The old testatment was written to teach us- so that by the endurance of the scriptures, we might have hope. First challenge- Red Sea before them and Egyptians behind them. They are scared but God, as Moses lifts up the staff, parts the Red sea and delivers them. In the desert, god provides for them miraculously. God sends them manna to feed them. They are thirsty and they have water from the rock. But as they go through the desert, the challenge is this- Amalakites are attacking them. Who are these Amalakite- the descendants of Esau. Jocab was a crook and cheated Esau, so they were enemies to the Israelites. Amalakites attacked the ones that were lagging behind. Just as the Israleites have enemies, we have an enemy who is like roaring lion waiting to devour us. One lesson to learn is- don’t be a straggler. Those are the ones that the enemy will go for. So what’s the strategy? As Joshua chooses men and goes to fight the Amalakites, Moses will go up the mountain with the staff. Now the staff is a shepherd’s stick, but it was the same staff Moses used to set Israelites free. Using that staff, God’s power was embodied into it. Many miracles were performed by the staff. It represents depending on God- interceding and prayer. 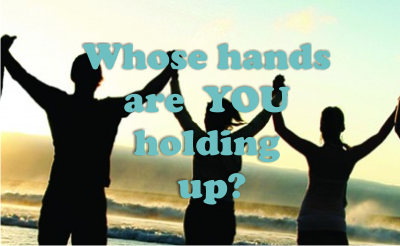 As long as Moses held up his hands, the Israelites were winning. But as soon as Moses lowered his hands, the Amalakites were wining. Really, victory was in Moses’ hands. It was the partnership, but the battle was being fought on 2 planes. When Moses’ hands grew tired. They needed to be persevering. So Joshua overcame the Amalakite army. See the amazing power and methods of God. Victory lay in lifting up hands to God. 1. We will have trouble because we have enemies. Sometimes big and sometimes small. a. We have to do what we can do. b. We need to also be dependent on God. Do as if it depends on you but pray like it depends on God. 3. Moses told Joshua what God told Moses to write it down for Joshua. 4. When we engage in prayer, it’s tiring- so we have to do it with one another. We will all have troubles- but from the scripture we see that God takes us through these troubles to build us up. God can change our situations in an instant, but he is also interested in changing us. We have to persevere in prayer. There is power in partnering in prayer. In Exodus 17:15 at the end of their victory, Joshua did not get the glory, Moses did not get the glory, but God got the glory! We don’t seek glory- we want him to be glorified through the healing, the provision. Labels: Christ likeness, discipleship, FAITH, Prayer, Spiritual disciplines. Have you ever been in a situation when you have asked where God in this is? You may feel I am following God, then why am I in this mess? This happened to Jesus’ disciples as well. They were obeying him and they fell in a mess. Matt14: Jesus from obscurity came to great popularity. The blind could see, the lame could walk the dead were being raised. He gave teaching with great authority. This now is one of the greatest miracles recorded in all the four gospels i.e feeding the 5000. Actually it was more than that when you count the women and children!! Matt14:18 -20 they all ate and were satisfied. Amazing!!! Not only that, three were 12 baskets of leftovers!!! Why is this miracle so great? Because it involved 1000s of people in one instant. This and the resurrection are mentioned in all four gospels. When the people saw this the people wanted to make him king (Jn 6:16) “Surely this is the prophet…” Jesus withdrew to a mountain by himself. He was at the height of his ministry. Matt14:22 The disciples were told to do something and they obeyed Him. We think only good should follow when we obey. But sometimes there are challenges. Where is he? He was praying on the mountain. Today He is ever interceding for us. Heb 7:25Therefore he is able to save completely those who come to God through him, because he always lives to intercede for them. They struggled for a long time. Who sent them? Jesus told them to go. Sometimes God allows storms in our lives. He does not send them but he allows them. Mt. 14:25 He does another miracle. He walked on water. The disciples were terrified but Jesus immediately spoke to them. Even if you don’t have a solution you need to magnify Jesus and the problem will become small. The twelve spies; ten saw giants but two saw opportunity and promise. The wind finally dies down. That’s the third miracle. They had seen the great miracles of Jesus but they still had doubt. It’s only after this revelation that their doubt was removed. Sometimes we have to go through a great trial to get greater revelation about God. Sometimes we go through situations for greater revelation and we now know him not just intellectually but experiential. 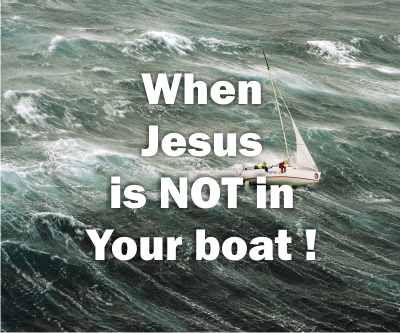 So whatever your situation, remember Jesus is with you in the storms. He will challenge you to greater depths of faith.